Links require Acrobat Reader. To get a free copy of Acrobat Reader, click on the icon. Hazmat disasters don't just happen in large metropolitan areas that are served by full-time, career firefighters. A significant number of tank truck accidents and train derailments occur in remote sections of the nation. Consequently, volunteer firefighters account for about 80 percent of all First Responders arriving on the scene of hazmat emergencies. In Texas alone, 1,400 of the state's 2,100 municipal fire departments are located in rural areas. And only 230 of these departments have full-time staffs. Although volunteers are frequently dispatched to the front line of a hazmat crisis, they're often far less informed - than their full-time colleagues - to face the dangers. Since most volunteer firefighters have careers in other professions, they rarely have the opportunity to pursue extensive hazmat response training that's offered to full-time firefighters. Yet the decisions these volunteers make and actions they take are every bit as critical to the nation's public health and safety. E-Plan's user-friendly features are giving full-time firefighters and Volunteer Fire Department (VFD) members alike the informational edge to protect themselves, accident victims and surrounding communities better than ever before. With some 40,000 different chemicals in commercial use daily, First Responders have a time-limited window in which to identify potential chemical hazards and take immediate action. 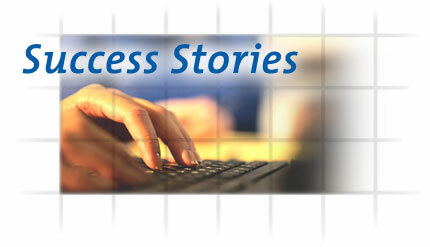 Because E-Plan is easy to use, flexible and requires a minimal amount of computer knowledge, First Responders are learning in a matter of minutes how to use the system. And E-Plan helps them do that. A highly secure, web-based system that is instantly equipping response teams with life-saving information. In most businesses, time is money. In the business of responding to oil and hazardous material emergencies, however, time also translates to saving lives and property. But until the development of E-Plan, emergency personnel frequently did not have timely information to respond safely. Although federal and state regulations require chemical plants, refineries, pipelines and hazmat warehouse to submit emergency response plans and substance inventories, researching this paper-based data is a time consuming task. Consequently, numerous firefighters and police officers have died in the line of duty simply because they responded to situations without knowing the specific dangers of a hazmat call. "Most agencies that receive hazardous material documents from industry store them in libraries that never see the light of the day," said Jim Staves, the preparedness and the prevention team leader of U.S. Environmental Protection Agency (EPA), Region 6. "It could take hours to get copies of information that can now be accessed in seconds on Internet." Until 9-11-2001, oil and hazardous materials emergencies were primarily associated with accidents. But today, the potential for terrorist attack on chemical plants/refineries and hazmat warehouses has added another layer of concern for industrial facilities, emergency response teams and regulatory agencies. The possibility of simultaneously attacks on more than one facility compounds the risks even more. 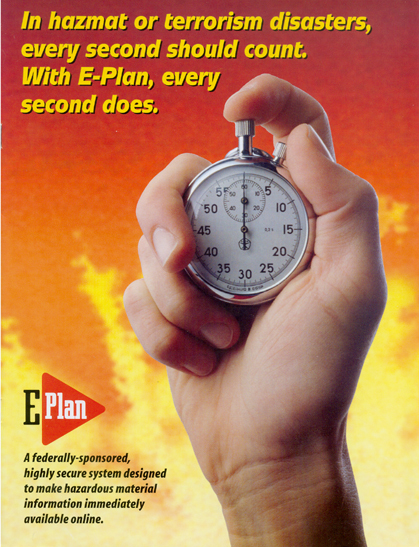 E-Plan has the capability for nationwide coverage in all 50 States, District of Columbia, and four U.S. territories.